On Friday, October 4, 2013, Forsyth County Schools welcomed approximately 130 educators to tour its Bring Your Own Technology (BYOT) initiative at three of its schools, Chattahoochee Elementary School, Little Mill Middle School, and Forsyth Central High School. The district has had numerous tours over the last few years. Not only do these tours highlight the implementation of BYOT, but they also provide an impetus for professional learning within the district to help us continue growing and refining our teaching practices with instructional technology. Although the district has been encouraging students to bring their own technology tools to school to improve learning opportunities, each school is at a different point in this transformational process. 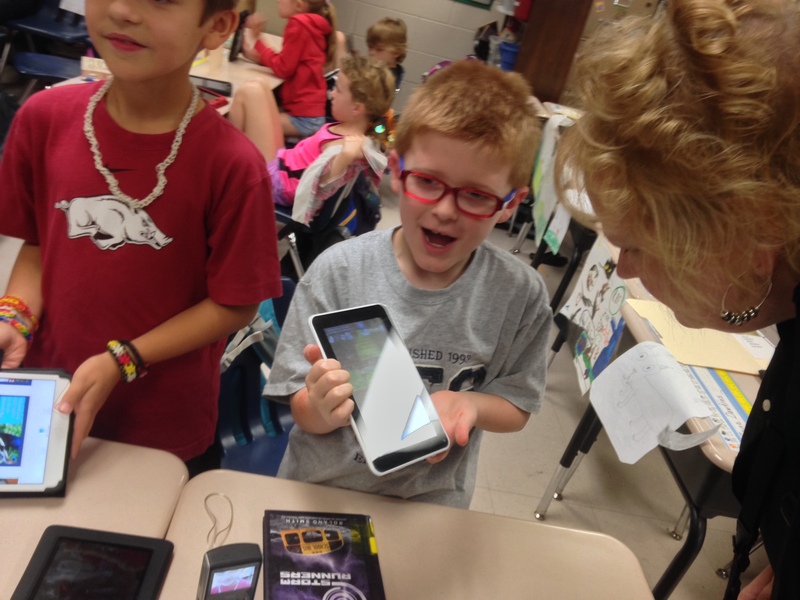 This post details the journey of Chattahoochee Elementary School as it prepared for its first BYOT Tour. BYOT actually began a few years ago at Chattahoochee Elementary School, and the school’s Instructional Technology Specialist (ITS), Missy Payne, had me visit some classrooms in grades 3-5 to discuss the responsible use of BYOT and some ways that students could learn with their devices. The teachers of those classes wanted to begin utilizing BYOT. I also met with the school leaders at that time to discuss the vision for BYOT at the school. The use of BYOT was voluntary, however, and although some of the teachers and students began using BYOT in the classroom, the practice did not spread throughout the rest of the school. Then last year, a new principal, Barbara Vella, was selected to lead the school. She was enthusiastic about the possibilities for instructional technology, including BYOT, for engaging student learning through higher-level thinking and project-based learning. She encouraged both the ITS and media specialist (Michelle Smith) to attend districtwide training in teaching and learning with BYOT. She also requested that her school participate in a BYOT Tour when every teacher’s class would be visited so that others could observe BYOT in action. We first conducted a walkthrough of Chattahoochee Elementary School to ascertain the levels of technology use within the school. This was an attempt to establish some baseline data that would clarify where to invest time and resources to assist the teachers and students more effectively. In this walkthrough, very few technology resources were in use. In fact, the majority of the classrooms were using whole group, teacher-directed instruction, and many of the instructional activities were being conducted solely to improve performance on high stakes testing – lecture, worksheets, and recipe-like standardized projects. There was very little focus on developing digital age skills, the 4 Cs – Creativity, Communication, Collaboration, and Critical Thinking, even without the use of technology tools. It was apparent that this is where the teachers and students needed additional support. In preparation for the BYOT Tour, instructional support came in various forms. First, we organized a panel presentation of teachers from a neighboring elementary school (Chestatee Elementary School) that had previously hosted a BYOT Tour. At a faculty meeting, those teachers shared personal stories about how they were originally hesitant about implementing BYOT and welcoming so many people into their classrooms but then how rewarding the whole process was to student learning. We shared the data from the preliminary walkthrough and had a conversation about the vision for student learning with BYOT. As a group, the teachers decided to work toward developing strategies for incorporating those skills into their classrooms. They began planning for additional small group instruction to utilize their school-owned technology resources more collaboratively. In addition, they brainstormed new ways for students to be creative through project-based learning organized around higher-level questions and inquiry to stimulate critical thinking. 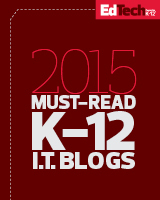 These types of learning activities ultimately necessitated the use of BYOT. Missy and Michelle assisted the teachers in their school as they planned for student learning with the 4 Cs. They recommended apps and projects that would help the teachers incorporate the content they were teaching with digital age skills, and they modeled that instruction for the teachers within classrooms so that the teachers had additional support with the technology when necessary. They continued to plan additional walkthroughs and invited the ITS and MS of other schools to visit their classrooms and nurtured the teachers with specific feedback to help them with their instruction. It was sometimes difficult for teachers to receive that feedback, at first, but Missy, Michelle, and the school leaders worked with each teacher individually and offered constructive support to help them develop into a professional learning community. The teachers also began to participate in walkthroughs within the school to see BYOT being implemented by their colleagues. The school community also worked on transforming the physical space of the building. They cleaned out and updated the collection of books and resources within the media center and selected some new furniture for the space to better facilitate the 4 Cs. They also rearranged the furniture in the classrooms to create learning environments that supported group and individual learning activities. Finally, they painted the building and incorporated murals and splashy new colors to show a new vibrancy and enthusiasm for learning. The planned BYOT Tour was a success, the visitors raved about the students and their use of both school-owned and student-owned technology resources. Even if the students did not own all of the devices, it was evident that they owned the learning. 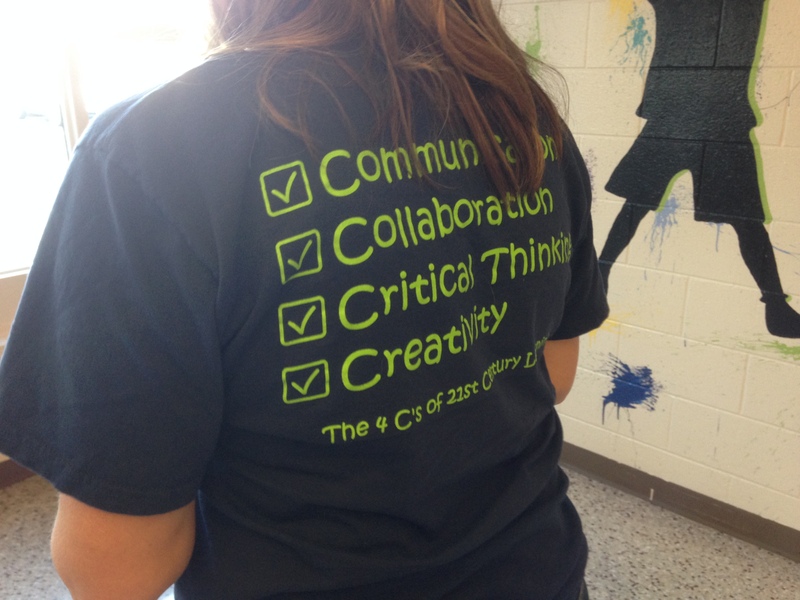 Principal Vella had even ordered shirts for the staff with the motto “Cs the Moment” and the 4 Cs listed on the back. 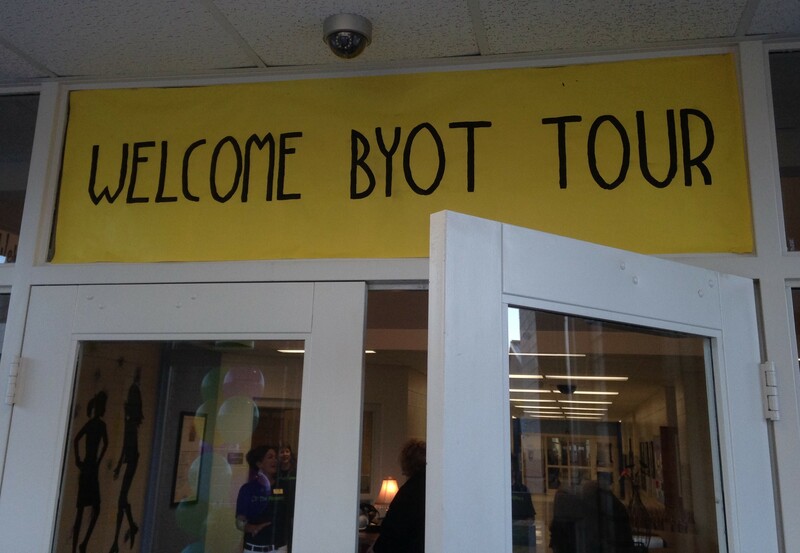 The BYOT Tour is just the beginning of the school’s journey on the path to transforming into a digital age student-centered learning environment. However, with the commitment of the dedicated teachers at Chattahoochee Elementary School and support of their school leaders, they will most assuredly accomplish that goal. This entry was posted on October 6, 2013, 7:51 pm and is filed under BYOT Strategies. You can follow any responses to this entry through RSS 2.0. You can leave a response, or trackback from your own site.